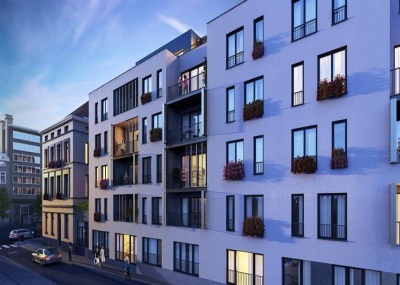 Discover the new residence “THE K” composed of 52 units located in the heart of Brussels in a rapidly growing neighborhood near Place St Catherine, Place Rogier and business center of the North quarter. Studios, 1,2 or 3-bedroom apartments and penthouses, each with its own well-lit spaces and light. Parking in the basement, bike room. A part of the building has preserved the historical facades of the XIX as well as the heights under ceilings the other part develops a modern facade. Finishing qualities to choose from. Discover the new residence “THE K” composed of 52 units located in the heart of Brussels, in a rapidly growing neighborhood near Place St Catherine, Place Rogier and the business center of the North quarter. Studios, 1,2 or 3-bedroom apartments and penthouses, each with its own well-lit spaces and light. Terraces or small gardens. Parking in the basement, bike room. 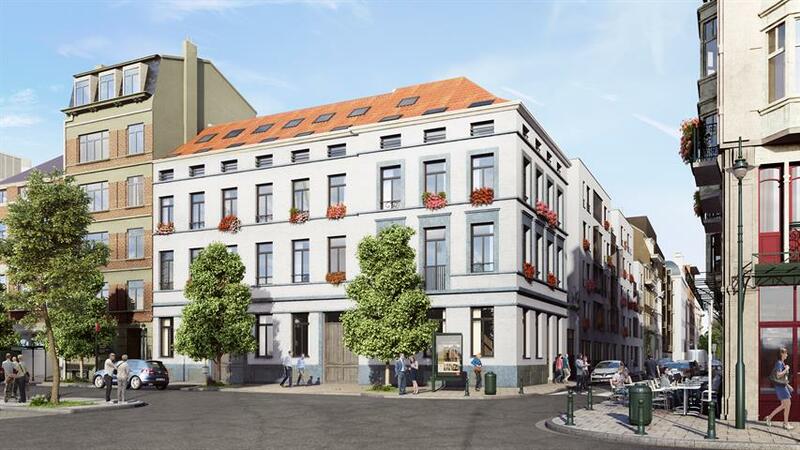 In the heart of Brussels, discover this pleasant studio located in a new building having retained its historic facade. Living room with open kitchen, sleeping area, bathroom, toilet. Finishes to choose. In the heart of Brussels, discover this studio located on the ground floor. Living room with fitted kitchen, sleeping area, bathroom and toilet. Finitions to choose from. Découvrez la nouvelle Résidence “THE K” composée de 52 unités sise au coeur de Bruxelles, dans un quartier en plein essor à proximité de la Place St Catherine, de la Place Rogier et du centre business du quartier Nord.